For car enthusiasts, the winter season means above all a proper preparation of their vehicles for cold temperatures and harsh environmental conditions. This applies to paint and windows, but also for the crucial components within the engine compartment. The cooling system in water-cooled engines is a potential trouble spot. Cooling liquid can freeze and block the cooling circuit. Malfunction and engine damage can be severe consequences. Therefore, it would be better if you take precautions and protect your cooling system with our radiator antifreeze mixture from Caramba. Take the preparations for the cold season into your hands and make your car fit for the winter. Our radiator antifreeze ready to use mixture is a year-round product, but it is of course particularly important and necessary in winter. This silicate-containing mixture protects the cooling circuit and thus the whole engine against frost damage and prevents annoying failures and costly engine damages. This product is free from nitrides, amines and phosphates and is very gentle to the materials with which it comes into contact in the water circuit. In this way, it has no adverse effects on hoses and gaskets, but also parts from metal or plastic. Our radiator antifreeze mixture ensures protection up to -35°C and is thus absolutely adequate even in a very cold winter or for journeys to frosty regions. However, you can use our radiator antifreeze mixture also in warmer seasons as coolant because, thanks to its composition, it optimises the cooling performance. Our radiator antifreeze product is a ready to use mixture. So an exchange is very easy and convenient. Simply drain the old coolant and dispose of it properly. Fill our ready to use mixture into the overflow or radiator. 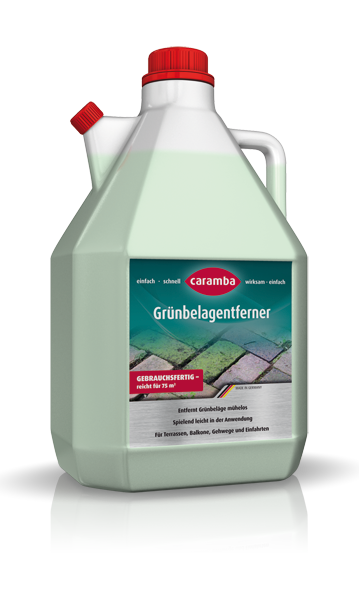 Radiator antifreeze mixture from Caramba can be mixed with most silicate-containing radiator antifreeze products. However, please follow the instructions on the packaging, safety data sheet and from the vehicle manufacturer. Take frost protection into your own hands and supply your car simply with our radiator antifreeze ready to use mixture.